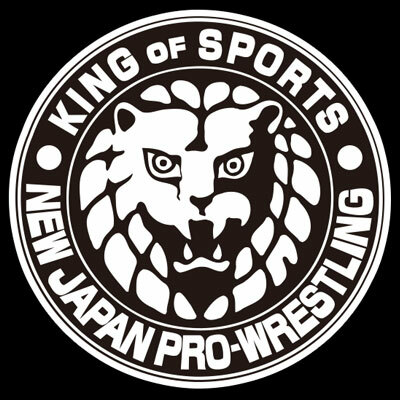 New Japan's Spring tour Wrestling Dontaku will follow up on the company's venture into the legendary venue of Madison Square Garden. The Switchblade Era or the 5th reign of the Rainmaker will be the emphatic point come mid-April, we'll see who's there to lead NJPW into its next path. 7 English commentary shows in April for this tour alone, including Sengoku Lord and Wrestling Hinokuni. HUGE month for New Japan! Hope to see to see fresh matchups. Cards were just released. Okada is defending against Sanada. Yawn. Guess this is what everyone wanted. Goto will be up against Jay all tour, Ibushi vs. ZSJ on 4/20..Ishii vs Evil on night 2 of Dontaku. Last edited by RainmakerV2; 04-08-2019 at 12:49 AM. Hey Gedo, lets do a third 0 defences reign in a row Because I don't understand whats the point in Sanada getting beaten by Okada again in such short time frame. Unless he is leaving. Anyone else thinks that they are building towards Juice/White II at Dominion? Weirdly, I'd have dug a White vs SANADA match. Wouldn't hit classic but they'd have a killer final 5-10 minutes. No Tanahashi on any of the cards? Same with Ibushi & ZSJ once they finish up on the first larger event of the tour but Tanahashi usually always works through and ZSJ usually participates in tags on the big cards. El Phantasmo debut on night 2? ? & Ishimori vs Lee & Ospreay. Does Okada face the winner of Ishii/EVIL at Dominion or will Naito come out for that? Hiromu definitely returning Night 1 since Lee/Ishimori mains the card. Given that Naito is wrestling the entire card in tag matches opposite Rocky Romero, I'm surprised they didn't go for a singles match between them just to give Naito a win. Usually a staple of the card layout. Past two years, the runner-ups of the New Japan Cup challenged at Dontaku (Tanahashi vs Okada, Fale vs Okada) so I can see why they've gone back to this match. Could've gone for Suzuki vs Okada by putting Suzuki over SANADA in round 2 but neither matches are particularly fresh for Okada. Let's hope they make up for the stale card by developing some story within this new CHAOS amalgamation. Split up people into 2 or 3 factions. Eeeeek. I hope not. Neither needs to be eating Ls. Goto should be a good bounceback for Jay and Juice can defend against some non gaijins for once. You think they save SANADA vs Okada for later but I guess Gedo wants to have SANADA go 0-6 against Okada. White vs Goto is just so random. It just feels that chaos members are randomly fighting LiJ and BC members so I have no idea who will headline dominion. Common sense says Naito after SANADA is taken out but Naito doesn't have a marquee singles match to stake a claim while EVIL is the one with the singles match. As much as westerners are huge marks for Ishii, neither he nor EVIL are headliners for a big show like dominion. Only two guys make sense for that spot and that's Naito or White. High chance White is the challenger but it's certainly not worth sacrificing SANADA so early on just to get there. Eeeeek. I hope not. Neither needs to be eating Ls. I agree with that, but Juice defeated Chase and I'll flip the table if he loses against Fale. So you know, you take two lower tier guys from the faction then logically next match should be against faction leader, no? Again, I agree that neither man needs an L right now, but to me that looks "logical". As for Dominion main event... no idea. White would make sense, but as I already said it looks to me like he is moving towards Juice. Naito would make sense, but he is doing nothing in tags. Ishii isn't really big enough to main event b-level show so Dominion is out of the question. Evil is way bigger than Ishii in Japan, but it looks a bit too early for him. Tana could also make sense I guess, but he is not on any of the cards so it would be a bit out of nowhere as well. We also probably will need IC and NEVER title matches for Dominion as well. I think that Cobb/Suzuki is possible since they are on opposing tags last day as well. But what for IC title? Maybe Ibushi does what Naito wanted to do and attempts to become double champion, but fails, at Dominion? I think EVIL vs Okada works well so long the other top matches are big. Hiromu vs Dragon Lee is probably already written in the stars for Dominion. While it isn't fresh, it is a Hiromu title win. White has the choice of IC and US. Both work since I think he's facing Ospreay at WK for either belt. I wouldn't bemoan either. He has fresh match-ups in both. Could keep the scene fresh if he went for the US belt and faced Cobb, Nicholls and Finlay before dropping to Ospreay. I'd guess it was Ibushi vs White, Suzuki vs Cobb and Juice vs ZSJ. I doubt EVIL will be the guy though as much as I like EVIL. Dominion is just too big an event to go with a random EVIL vs Okada title match. Like I said, if they wanted to have Okada go through LiJ to face Naito, they could have saved EVIL and SANADA for destruction and KOPW respectively with them getting wins. Right now, they would be nothing but fodder for Okada. There are many ways to give EVIL a rocket push without putting him in the main event of your 2nd biggest show. Since they moved to Osaka Jo Hall for dominion, the main events have been big marquee matches like Okada vs Styles, Okada vs Naito, Okada vs Omega back to back. EVIL vs Okada is just sheesh. It's not a bad match but for dominion main event, it's underwhelming as heck. Jericho may be a wildcard but I doubt he have time to promote the match with double or nothing happening 2 weeks before dominion. Last edited by Noholdingrudges; 04-08-2019 at 04:54 AM.